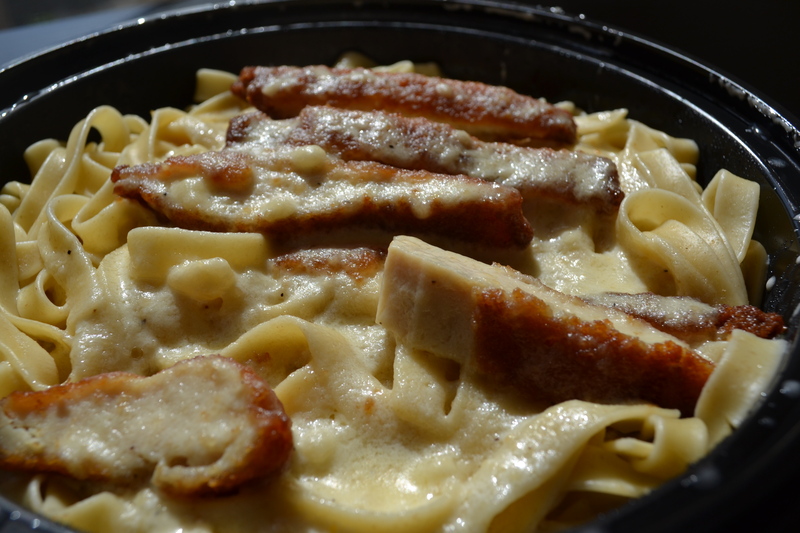 Day 7 – Alfredo Sauce Time! The 5K didn’t happen this morning. We went to a beer garden with some friends last night and Callie decided she didn’t want to run this morning. Her decision, very unilateral affair. I was ready to go. Like a sleek race car with a full tank of gas. 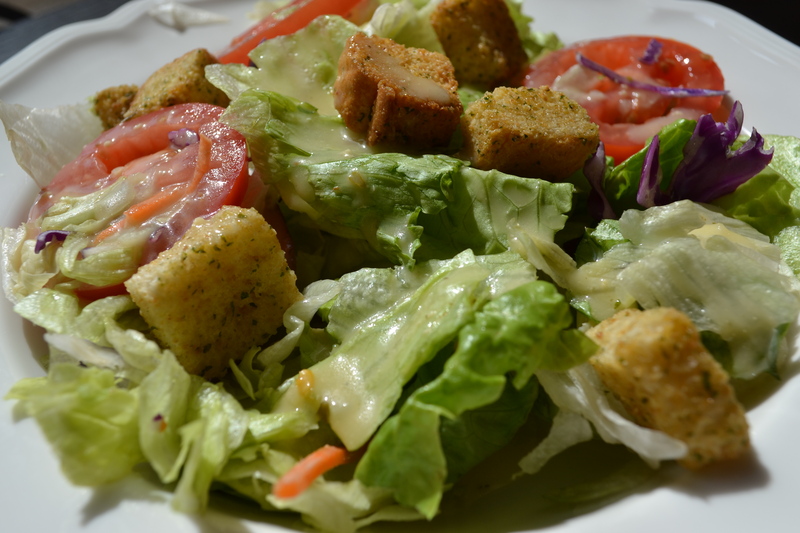 High class takeout affair, even decided to plate the salad instead of inhaling it out of the plastic box. I ended up getting fettuccine alfredo with chicken fritta. Go ahead and add fettuccine and fritta to my Italian vocabulary. 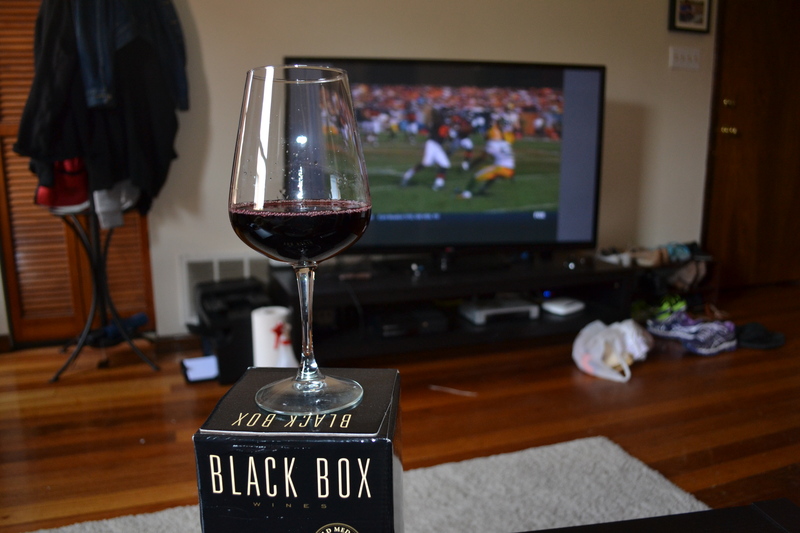 Sunday and no beer in the fridge, so I had to steal some of Callie’s wine. High class meal, high class wine. I’m not pictured, but I actually decided to wear a tuxedo at home today. So somehow I made it through a week of the pasta pass before encountering these chocolate mint things. All of a sudden, the memories all started rushing back. It was the Olive Garden at the corner of Princess Anne Road and Kempsville Road that I went to as an 11-year old. 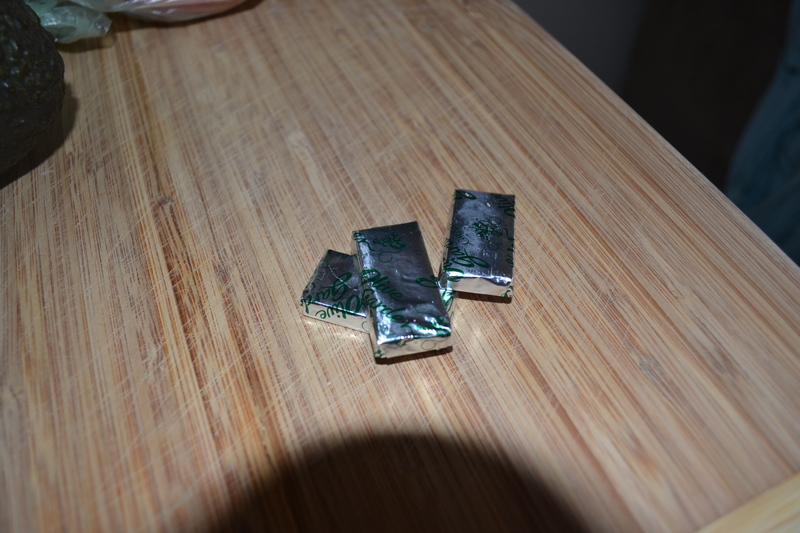 These mints were the best thing I had tasted up to that point in my life. I need to make sure I get these every day from now on. They could put Godiva out of business. Comments from the wife: Wow, Hagana, I think you’re losing weight and gaining muscle at the same time. You remind me of Thor when you take your shirt off! How come no detail on how the alfredo tasted. so much buildup to alfredo day and no description? 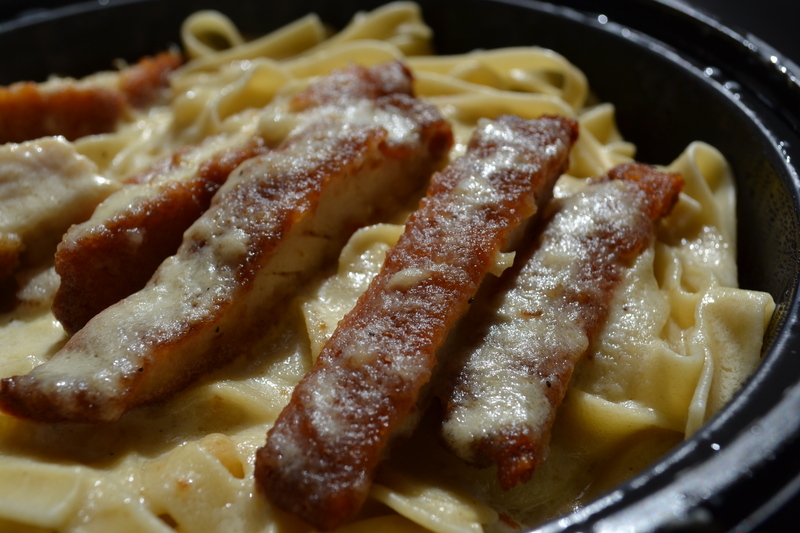 I did takeout, which isn’t the best platform for Alfredo sauce. I’ll give details when I try it at the restaurant today!